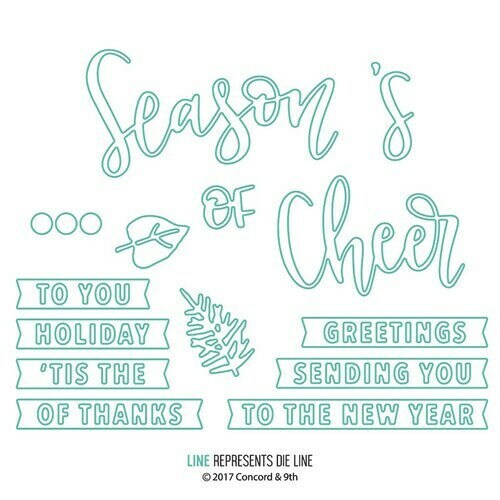 Celebrate the Season of Cheer with a set of dies that will complement your end-of-year sentiments. The package includes 14 thin metal dies that measure .875" x .375" to 3" x 1.675". The Concord 9th dies coordinate with the Seasonal Borders Clear Acrylic Stamps sold separately and are made in the USA. The dies work with most manual die cutting machines sold separately.